Share pictures of your first BlackBerry with us! Your BlackBerry addiction started somewhere, and we want to know where. Odds are that through the years you have changed BlackBerry smartphones like socks, leaving behind the old faithful for the new shiny one. 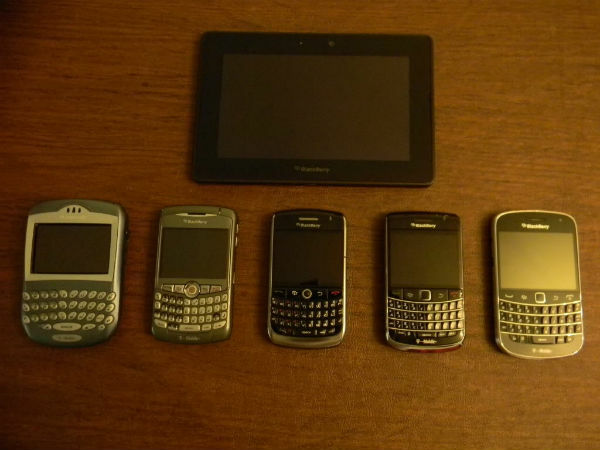 My journey has included just about every single model that ever hit Verizon Wireless since the BlackBerry 8703e. The amazing people in the forums are usually here to discuss issues, help you solve things that are going on and inform us of new apps, but every now and then we get some unique ideas. Forums user ajst222 came up with the idea for everyone to share their first BlackBerry device with the rest of the CrackBerry community, and the idea is quite fantastic. So, what was your first BlackBerry? Be sure to hop into the forums and share your pictures with the community, so we can all know just where your addiction began.